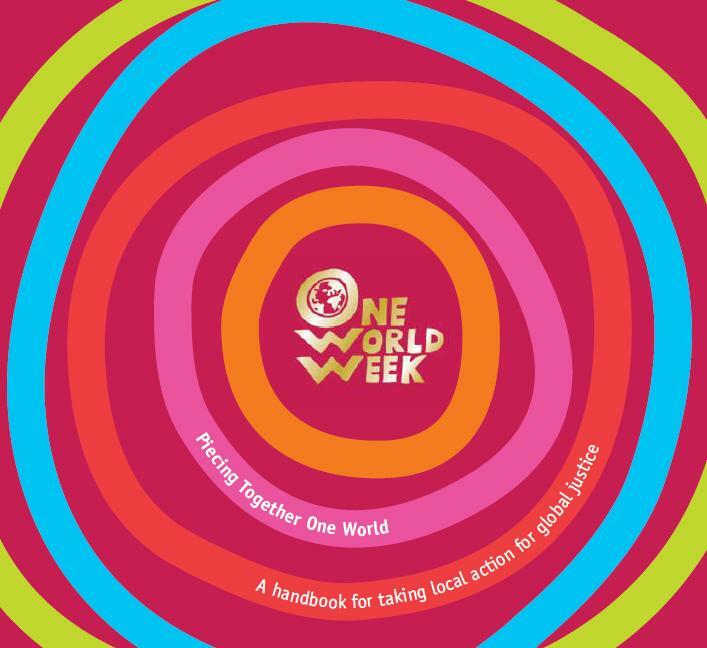 In this section you will find everything you need to help you engage your community in One World Week and ‘Piecing Together One World’. You can download PowerPoint presentations that will assist you in bringing an inter faith element to your event, as well as advice and directions on how to become a Fairtrade place of worship, community centre, school, or town. There are also links to the Transitions Towns initiatives. This handbook includes loads of advice on event organisation for seasoned local activists and fresh faces alike. 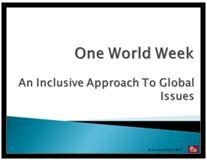 It draws upon what OWW, as an organisation, and its supporters, putting on local events, have learned together from the experience of implementing the project "Exploring Ubuntu – One World Across Faiths". Ubuntu or active togetherness embodies the values of shared responsibility for each other. It is intended to inspire, inform and encourage more people of diverse backgrounds to come together to explore shared values and take action locally and globally to build a just, peaceful and sustainable world. This presentation focuses on what a multi faith event is, why multi faith events are important and necessary and what you can achieve through holding an event catering for people of several faiths and no faith. It also highlights the range of events that are already taking place up and down the country, providing some examples to inspire you. 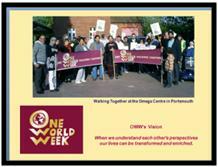 The Portsmouth OWW group has been one of our most active and successful in holding interfaith events. Have a look at what they have been doing in this PowerPoint - you could show it to your planning committee for inspiration! Feel free to use it as a template for a presentation on your own OWW events. The new version is for use with the 2014 "Living Differently" theme. You can modify it with dates, themes and local information for your own use. If you do choose to modify sections, all we ask is for you to stay within the OWW vision and aims. Fairtrade Foundation – Is your place of worship Fairtrade yet? Any place of worship can become Fairtrade certified, by simply meeting with the criteria listed on the website and has applying for the status. Churches, Mosques and Synagogues all over the UK are committed to the goals and aims of Fairtrade, using Fairtrade products including tea, coffee, sugar and biscuits in their places of worship. For more information, and detailed action guides, go to the Fairtrade Foundation website. Transition is a social experiment on a massive scale! A Transition Initiative (which could be a town, village, university or island etc) is a community-led response to the pressures of climate change, fossil fuel depletion and increasingly, economic contraction. There are thousands of initiatives around the world starting their journey.